Size 9-12 mo. Size 12-18 mo. Babies like to be comfortable especially when they are a little older and playing more often. Gift giving is about fulfilling needs and creating relationships of understanding and caring. 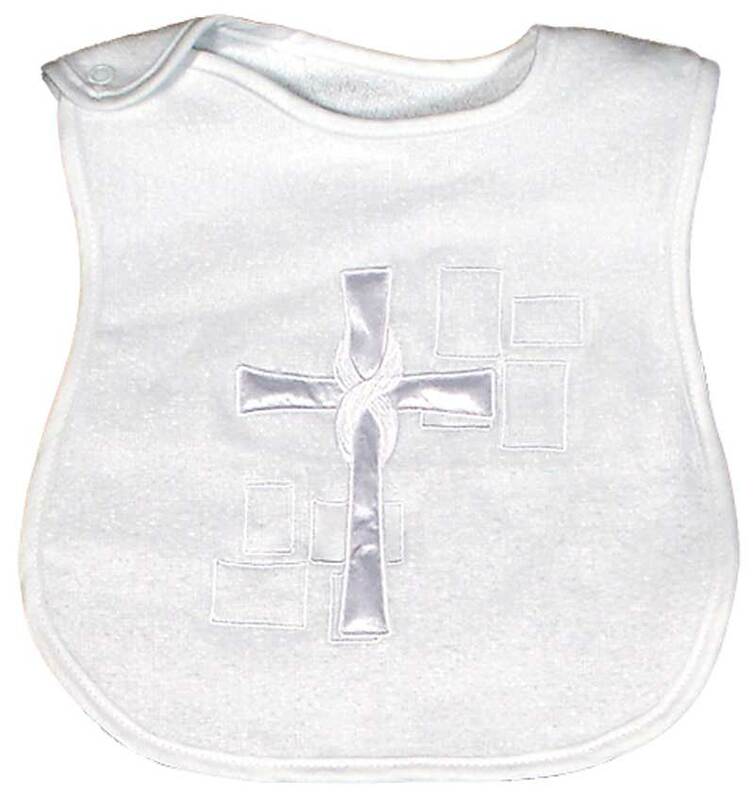 This coverall is meant to be worn to the Christening Party after the Christening event, when something more comfortable is needed and a little older baby girl can still be dressed appropriately for the day. What makes it so great? 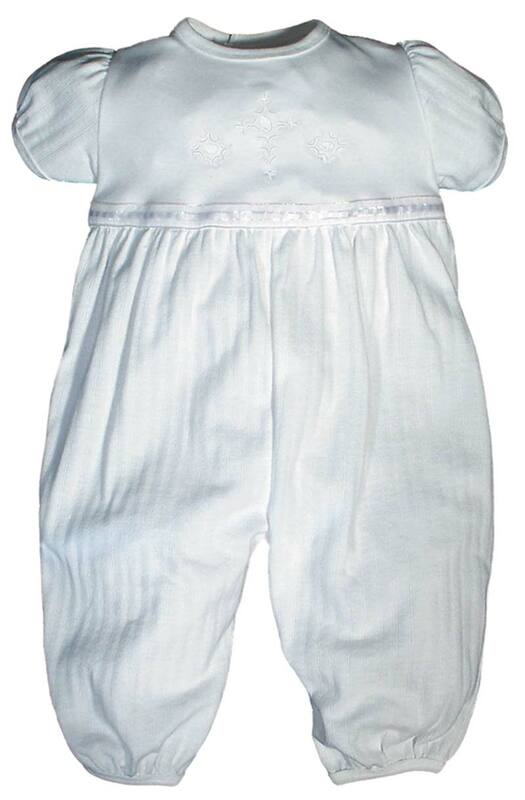 This embroidered cross coverall is made in 100% cotton, textured ribbed knit and trimmed with an opalescent ribbon. 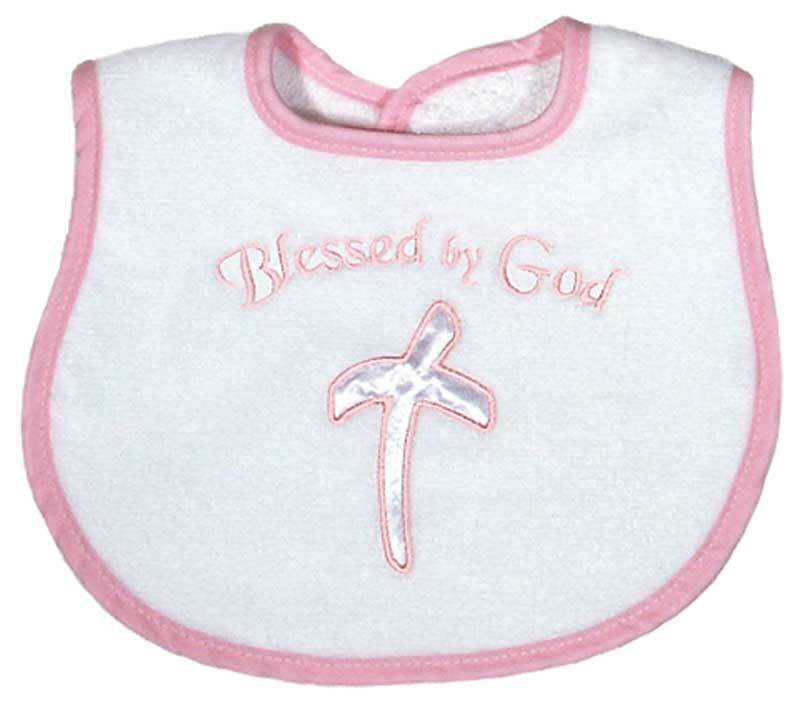 It can be worn for the actual Christening event, if a more casual outfit is desired. 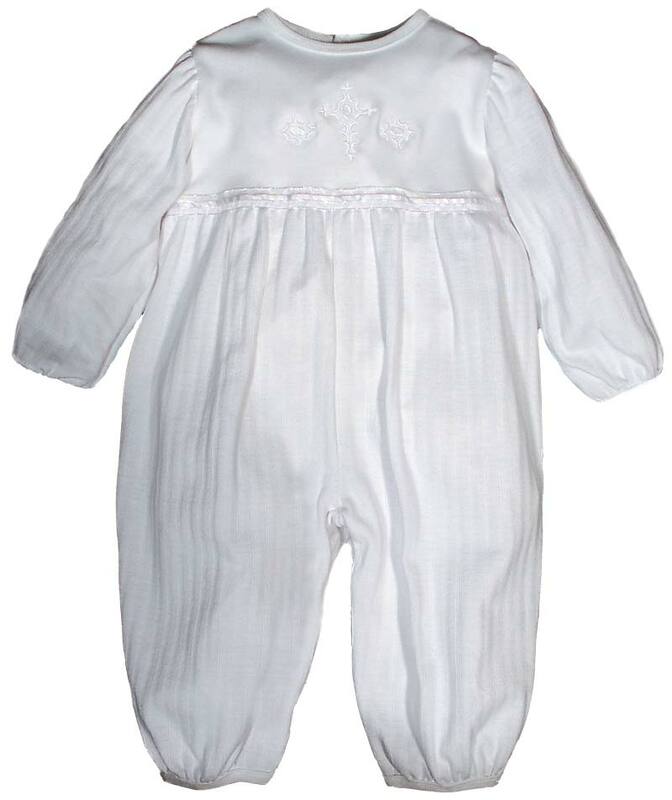 This coverall can be delivered to Mom's door or sent to your location for you to bring to that special Christening Party. What makes it so valued? The coverall is done in 100% cotton, textured ribbed interlock, not jersey, which means it will be softer on baby's delicate skin and it will wash and wear longer. 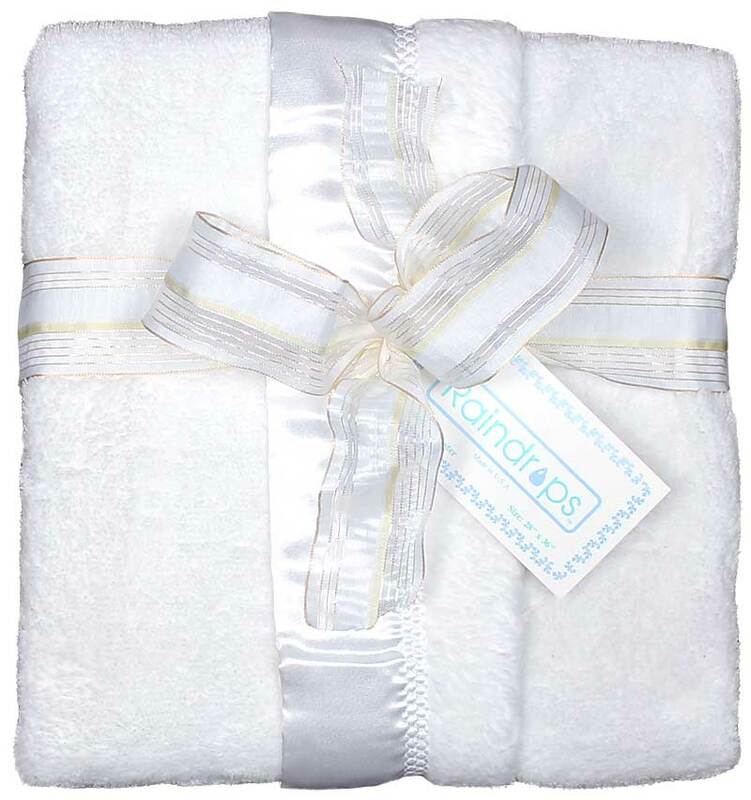 It is part of a larger Christening Party group that includes a gown, a footie, a receiving blanket, a body suit, a cap and booties. This coverall is for a girl done with short sleeves but it comes in a long sleeve version, as well. There is also a boys coverall in long sleeve and short sleeve. 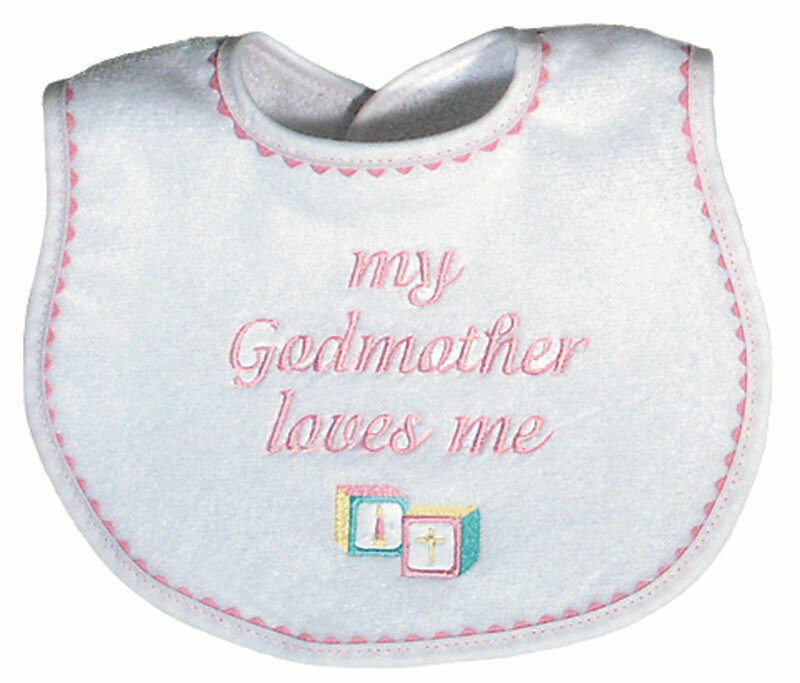 Available sizes: 9-12 mo. and 12-18 mo.